Mosaic has held a special event to celebrate another successful year of its work in London and the South East. 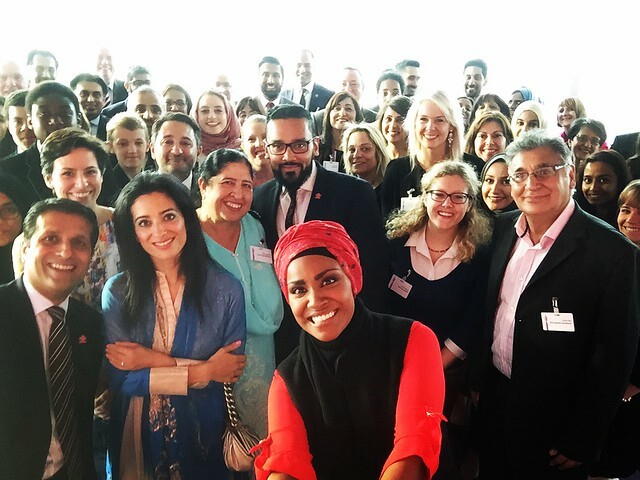 The event took place at the iconic BT Tower in London’s West End and to everyone’s considerable pleasure, Nadiya Hussain, last year’s winner of BBC’s The Great British Bake Off, was the keynote speaker. 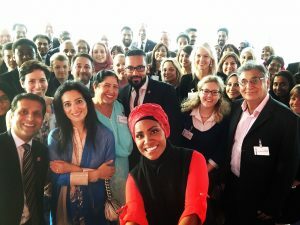 Mosaic was also delighted to welcome its Founder Chairman HRH Princess Badiya bint El Hassan to the event, alongside Mosaic Ambassador and compere for the night, BBC London News Presenter Asad Ahmad. The Mosaic End of Year celebration events are a wonderful opportunity for Mosaic to thank the people and organisations whose hard work and commitment makes its mentoring and impact possible, including its volunteer mentors; world of work visit hosts; inspirational speakers; its network of school teachers; as well as its funders and supporters. In particular, their dedication to the young people over the past academic year and beyond is celebrated. Attending mentors and mentees from across Mosaic’s programmes had the opportunity to meet and talk with a large number of Mosaic’s advisory board, corporate partners and benefactors. Members of Team Eazo Peazo from Rivers Academy in Feltham, the team that triumphed in the South East Regional Final of Mosaic’s Enterprise Challenge competition and came third nationally, also attended the event and impressed with their challenging questions to the keynote speaker. The event also saw the crowning of the Mosaic London and South East Regional Mentors of the Year. Taking the London crown was Khalid Khan from Hermes Investment Management, whose phenomenal record mentoring on the Enterprise Challenge competition saw him take two teams through to the London Regional Finals, eventually winning the national competition through Team S-Mart from Eden Girls’ School. The South East Mentor of the Year was awarded to Nageen Faruqi, a trained accountant who has taken on multiple mentoring sessions on the Primary School Programme in the region to great success. Mosaic runs all of its programmes across London and the South East, namely its Primary School and Secondary School programmes as well as the Enterprise Challenge and Ex-Offender programme. Mosaic would like to thank Rassmal Investments LLC its generous support of the event.